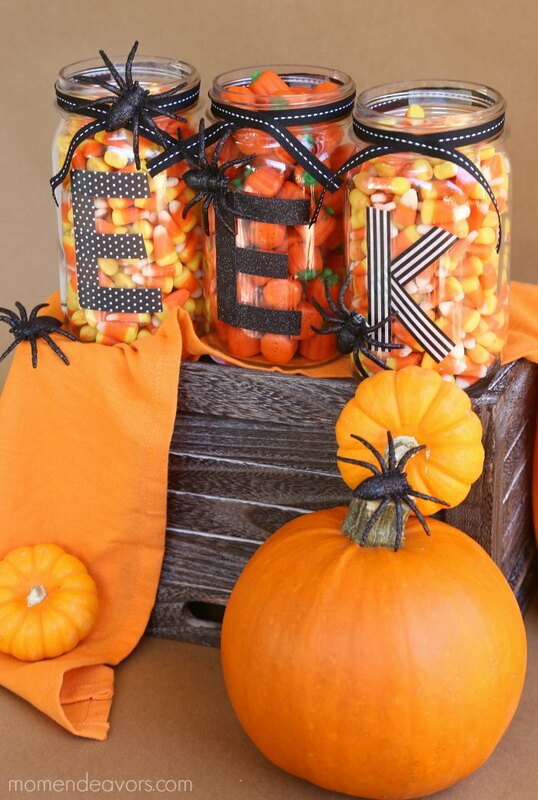 Halloween mason jar directions: 1. 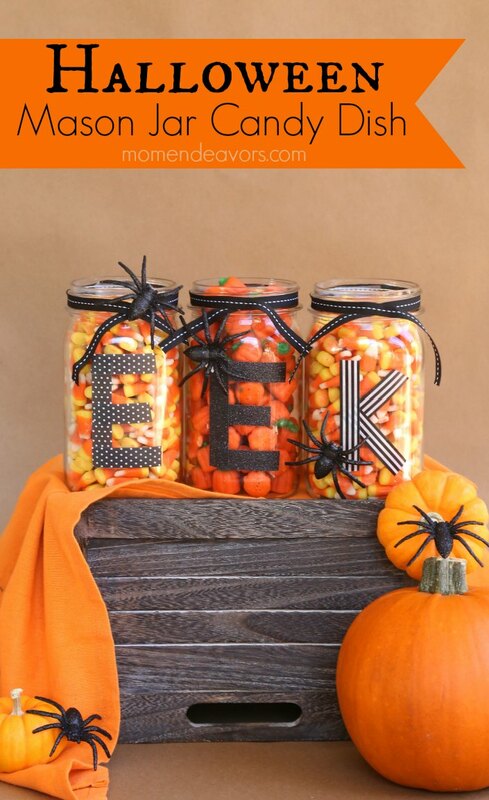 Start by making the letters on the glass with the washi tape and glitter tape. Just cut strips of the tapes and stick them on the glass to form the letters. 2. 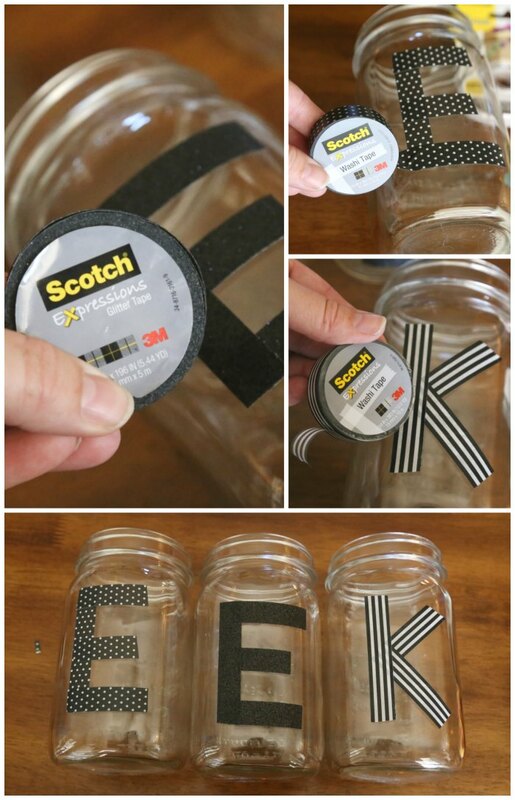 Use the Scotch® Create Double-sided Tape to place a small piece of the back side of the jar rim (to give the ribbon something to adhere to). Then cut a strip of ribbon to wrap around the jar rim. Use another piece of double-sided tape or a cut piece of the Scotch® Create Mounting Squares to have the ribbon stick in the middle of the front. 3. 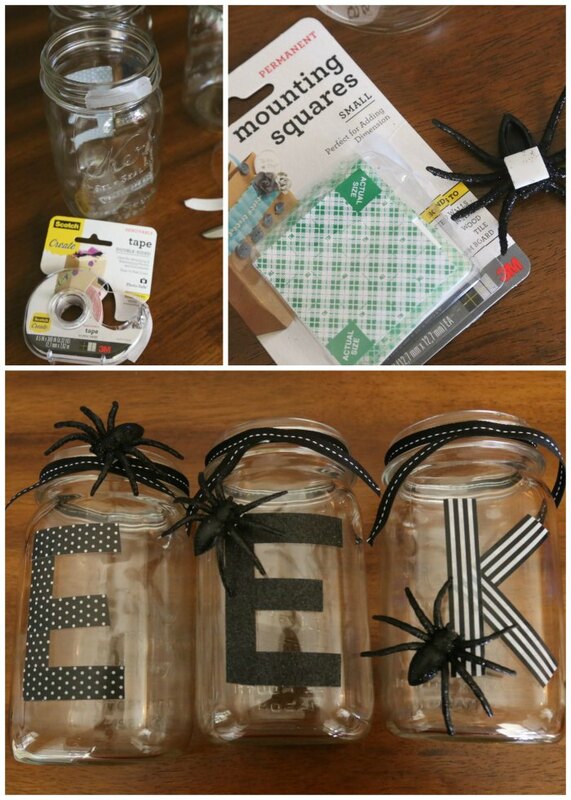 Then use Scotch® Create Mounting Squares to adhere the spiders to the mason jars where you’d like them. It doesn’t get much easier than that! The mounting squares are just SO easy to use! Isn’t it fun?! I love the way it turned out! An easy craft project is my favorite. 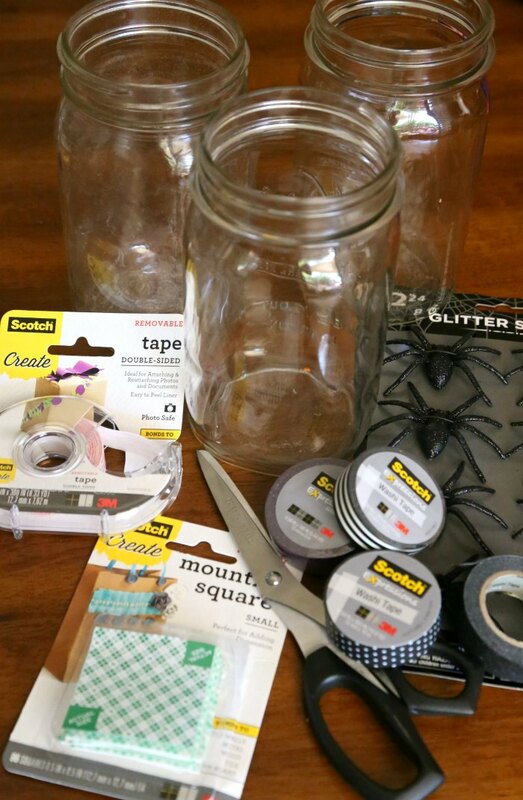 You can pick up all your supplies to make your own Halloween jars at Walmart! 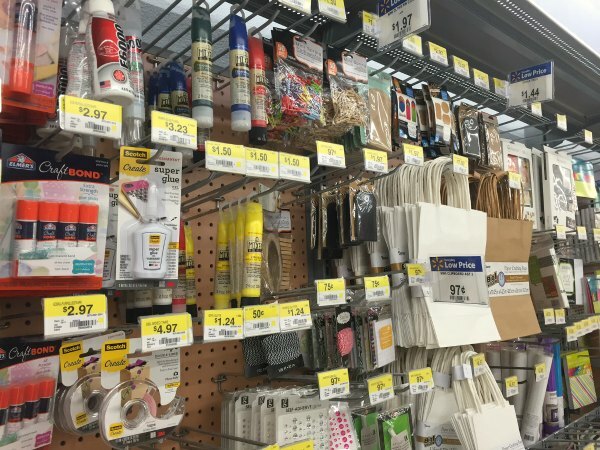 We found a variety of the Scotch® products in the craft aisle at Walmart! So, I could pick up my craft supplies at the same time as my grocery shopping! Perfect! For more hands-on, creative project ideas to make with Scotch® products, click over to the #HandsOnCrafty site here! 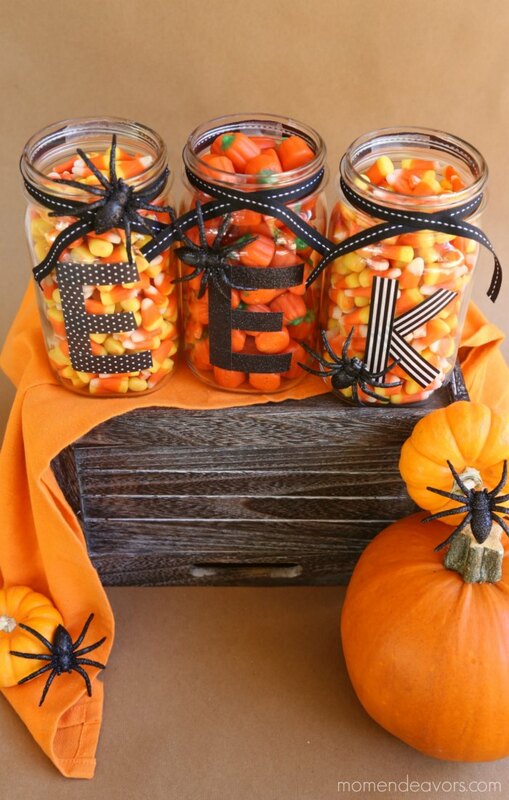 Let us know in the comments below what Halloween project idea you’d like to try! I LOVE these jars. Super easy and just plan darling.